Mukesh Ambani-led Reliance Industries (RIL) is in talks to acquire Mumbai-based cable operator Hathway to speed up the commercial roll out of its high-speed home broadband services. 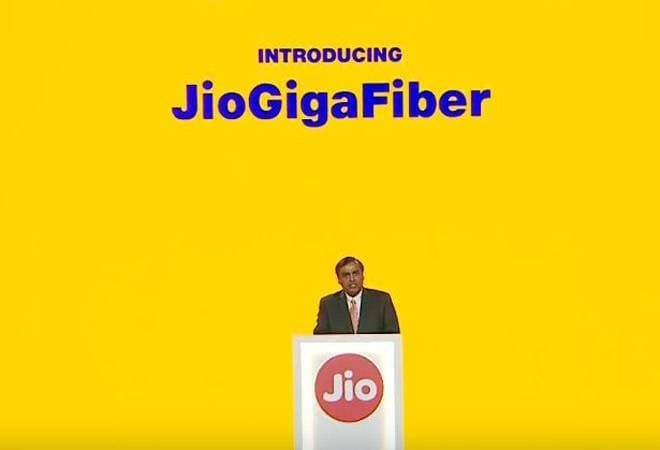 RIL aims to connect 50 million homes with its Jio GigaFiber network. According to a report in The Economic Times, people with direct knowledge of the matter confirmed that the talks were at 'an initial' stage. "It's too early to say if the deal will go through or not, but RIL is aggressively pursuing it," they said. The valuation figure being discussed is around Rs 2,500 crore, the report added. Earlier this year, Ambani had announced his ambitious plan for taking India among Top 5 nations in fixed-line broadband. Currently, the country ranks 134th in the global ranking for wired internet connectivity. RIL has already invested Rs 2,50,000 crore for creating digital infrastructure to provide mobile and broadband connectivity. At RIL's 41st shareholders' meeting in Mumbai, Ambani said they will now extend this fiber connectivity to homes, merchants, small and medium enterprises and large enterprises simultaneously across 1,100 cities to offer the most advanced fiber-based broadband connectivity solutions. Along with the internet, the company plans to offer Ultra HD entertainment on large screen TV, multi-party video conferencing, voice-activated virtual assistance, smart home solutions where 100s of devices like security cameras, home appliances and even light switches can be securely controlled by owners using a smartphone - even from outside the home - and more. Jio GigaFiber plans to connect the GigaTV set-top box to large screen TVs, which will allow users to watch "600 plus" channels, Ambani had said.